The bond plan is earmarked to fund voter-approved roadway improvement projects. 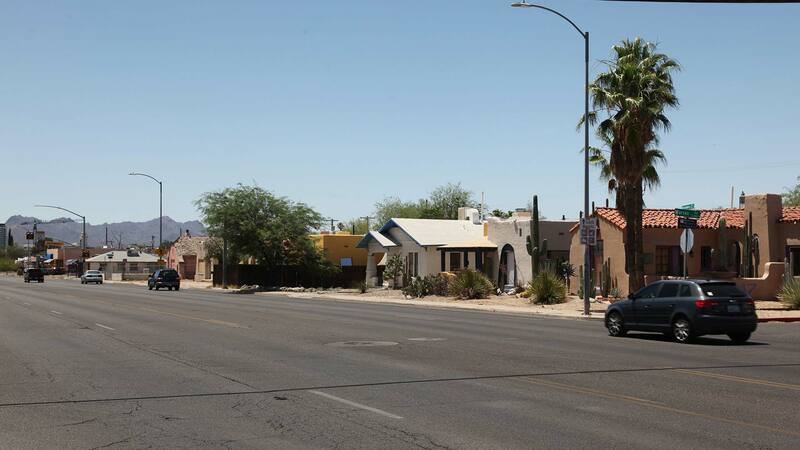 Among the proposed projects along the Sunshine Mile stretch of Broadway Boulevard is the relocation of a group of bungalows. The small homes would be uprooted and turned into a walkable shopping plaza. The Pima County Board of Supervisors this week approved the sale of $25 million in bonds to fund three major voter-approved roadway projects. 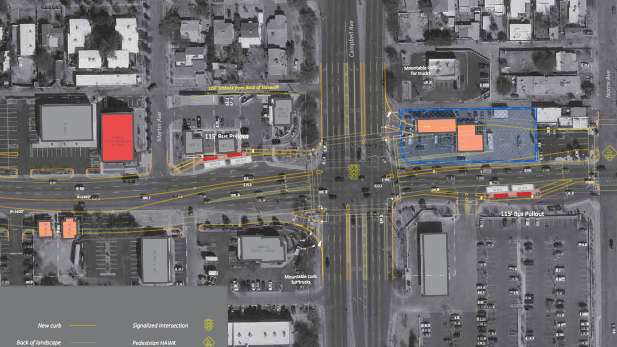 The largest of the three projects is the widening of Broadway from Country Club Road to Euclid Avenue, but the bonds will also fund improvements to Houghton Road from Interstate 10 to Golf Links Road, and on 22nd Street from I-10 to Tucson Boulevard. The projects are part of a $350 million bond authorization approved by voters in 1997. That means the funds are already earmarked for specific projects and cannot be used for general road repair and maintenance, however badly needed.